This book will not only tell you how to become an Approved Driving Instructor (car) but also how to set up your own driving school. It's written for aspiring or trainee driving instructors, or experienced instructors who would like to move from working with another school to develop their own independent business, by two authors who have both done exactly that. In it you will discover how to; become a driving instructor while keeping training costs to a minimum; prepare your clients to pass their test - and enjoy a high pass rate; choose the best training areas; save GBP000s on your ADI training and future business costs; choose the most suitable training cars; run your business profitably and professionally; avoid time-consuming and frustrating pitfalls. Contents: About the authors; Preface; Introduction; 1. 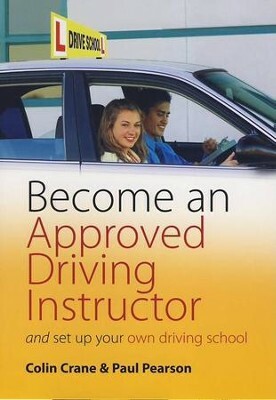 Become an approved driving Instructor; 2. Choosing your trainer; 3. Your training; 4. Choosing your car; 5. The ADI as a businessperson; 6. Working as an ADI; 7. Dealing with a new client; 8. Structuring yours lessons; 9. Planning lessons and training areas; 10. Preparing for the test and the test day; Appendix 1: web addresses and contact details; Appendix 2: ADI training information; Appendix 3: terminology used by examiners on the test; Appendix 4: first aid kits and accident books; Appendix 5: checklist for choosing your training car; Appendix 6: abbreviations; Index. I'm the author/artist and I want to review Become an Approved Driving Instructor: And Set Up Your Own Driving School / Digital original - eBook.